Advance the Light is led by Allison McCloud. Allison is from Alexandria, Louisiana and is currently studying Music at Northwestern State University in Natchitoches, LA. 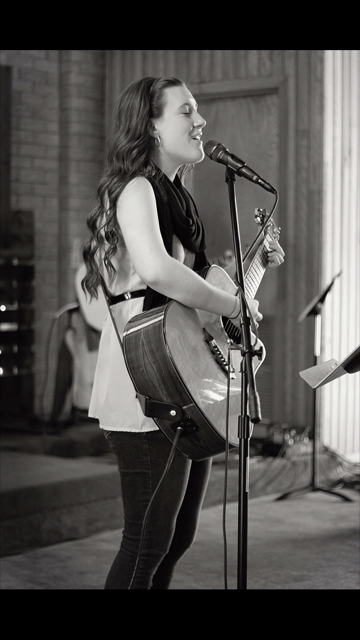 As the daughter of a worship leader, music has always been a huge part of Allison’s life. At age 14 she began a youth band at her church and through encouragement from leaders and mentors in her life, Alli prayed about a call to worship ministry and stepped into that calling soon after. From there the Lord set a path for her life, lighting up each step one at a time. After serving for several years under the leadership of her father, Alli was asked to lead for a new church plant in Alexandria during her senior year of high school. After graduating, she moved to Natchitoches where she joined the BCM on campus at NSU and also a local church who both immediately plugged her into leading on their worship teams, as well as leading worship for some youth events at a church in Leesville. After two years, Allison and some of the college students out of Leesville were asked to form a band for a summer youth retreat. The band decided to stay together after the event, calling themselves “Advance the Light” as a charge to their audiences to take what they hear in worship gatherings and advance that light to the world. Allison and the members of Advance the Light are looking forward to what the Lord has in store for FUGE camps this summer and feel honored to be part of His plans. “The light shines in the darkness, and the darkness has not overcome it” John 1:5.